A four-storey commercial building collapsed in Karol Bagh area of the national capital on Wednesday morning. New Delhi: A four-storey commercial building collapsed in Karol Bagh area of the national capital on Wednesday morning. The building was located at Padma Singh Road. No casualties or injuries were reported till the time of filing this reported. More details are meanwhile awaited. 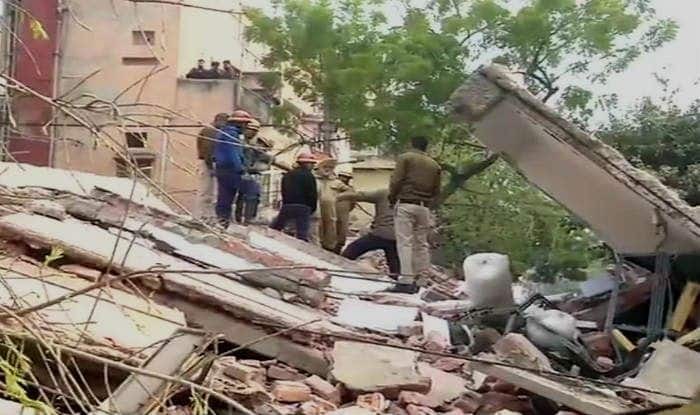 The incident comes four days after a part of a dilapidated building collapsed in Delhi’s Karol Bagh. At least four people who were trapped in the building were rescued. Four fire tenders were rushed to the spot to take stock of the situation. No casualties were reported in the incident. Karol Bagh, located in the Central Delhi, was in news a few days back after a massive fire engulfed a hotel there. On February, at least 17 people were killed as a major blaze broke out at Arpit Palace Hotel in early hours. Those deceased included two persons who jumped off the building in a desperate attempt to save their lives. The owner of the hotel, Rakesh Goel, was arrested a few days after the incident. He was nabbed from the Indira Gandhi International Airport (IGIA) after the Delhi Police laid a trap on receiving a tip off that Goel was travelling from Qatar by IndiGo flight 6E 1702.